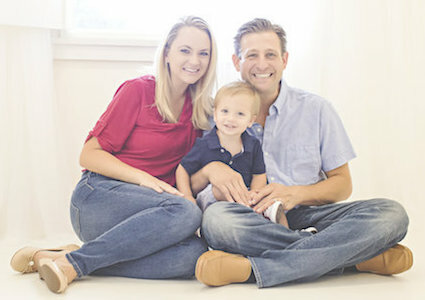 After graduating from Life University of Chiropractic in Marietta, Georgia in 1998, Dr. Ryan Spicuzzo practiced in New Jersey for 11 years before moving to South Florida. He worked in a chiropractic office in Palm Beach Gardens where he met his wife Sarah who worked in the same plaza. They married the following year and decided to open their own Chiropractic practice. They purchased Deerfield Health and Wellness Center in 2014. From colicky newborns to seniors and all ages in between, patients of every age and stage can enjoy optimal health and wellness at our chiropractic care center. At Deerfield Health & Wellness, our patients are treated like royalty. You’ll be waited on in the most attentive manner. As soon as you walk through the front door of our modern practice, you are the star of the show. We have created a warm, beachy atmosphere and consider our practice an extension of our home! Our staff will greet you by name, get your massage chair started and offer you a beverage. Many of our team members are bilingual and proficient in sign language to help our diverse family of patients feel comfortable with the care they will receive. Cold Laser Therapy: Safe, painless and noninvasive, cold laser therapy is remarkably effective in treating a range of conditions. Massage Therapy: The Spa at Deerfield Health & Wellness, you’ll enjoy a spa-like massage without the hefty price tag. While our massages are therapeutic and yield an array of benefits, they also are pampering. Spinal Decompression Therapy: This modality is a state-of-the-art way to help heal bulging, herniated or arthritic discs in the spine. Spinal decompression has helped a multitude of our patients avoid surgery and get back to Life! Whether you’re seeking relief or relaxation you’ve come to the right place.